On June 22nd, 2016, President Obama signed the Frank R. Lautenberg Chemical Safety for the 21st Century Act into law. This new law is the first major update to the Toxic Substance Control Act (TSCA) in 40 years. While we are disappointed that this law does little to protect public health, it will modestly expand the Environmental Protection Agency’s (EPA) ability to understand the health impacts of chemicals used in commerce. And it’s a real testament to your advocacy through collective calls, letters, emails, and visits, that the current law is not worse than it is. Comprehensive review of existing chemicals: The EPA will be reviewing all chemicals currently used in commerce, including the over 60,000 chemicals that were already in use, and grandfathered in, after TSCA passed in 1976. Slow pace of chemical review: The EPA will be required to review up to 20 chemicals per year. At that rate, it would take 50 years just to review the 1,000 chemicals the EPA has already identified as high priority. Also, since the bill allows the EPA to take as long as seven years per review, this could be a very slow process allowing us to continue to be exposed to chemicals we know are toxic. Weak health based safety standard: The old TSCA used a cost benefit standard to determine chemical safety. In the new law, the EPA is now required to use a health based safety standard. This is a good change. Unfortunately, the health based safety standard that they use is “No unreasonable risk of harm to human health” which is a much weaker standard that the stronger health protective standard that the EPA uses for pesticides on food of “reasonable certainty of no harm”. The reasonable certainty of no harm standard errs of the side of caution and would have better protected public health. State Preemption: States’ ability to regulate chemicals of concern are limited by the federal regulation on a chemical by chemical basis. This is important because stronger state protections have been key in both protecting their own residents and residents of other states. EPA Administrator Gina McCarthy admits that, “As with any major policy reform, this one includes compromises”. We are disappointed to see that the compromises in this new law put industry interests first, and let down women at risk of and living with breast cancer. Our work is not done! We will continue to monitor the new law as the EPA begins to implement it. 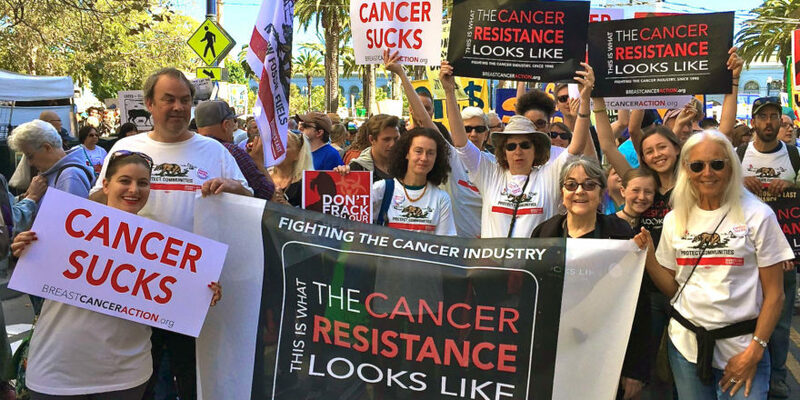 We will keep you up to date on the progress and alert you when we need your help to pressure the EPA to take stronger action to protect public health. To read more about how this new law lets down women with and at risk of breast cancer, click here. This entry was posted in Articles, BCA Action Alerts, BCA News, E-Alerts. ← Watering crops with cancer-causing chemicals?